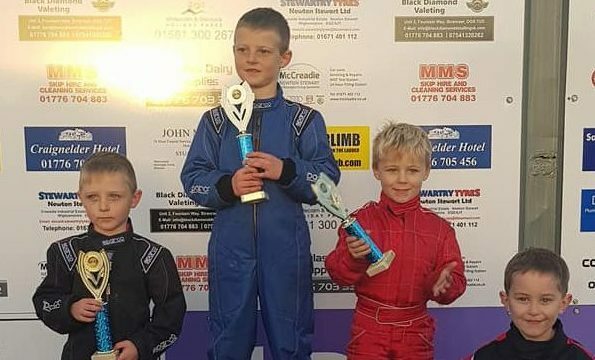 Cults Kart Club is an IKR (Independant Kart Racing) club in South West Scotland, founded in 2001 with a handful of fun karters who developed into local racers and grew the club to its current level of 80-plus members. We run 10 fun meetings per year loosely governed by the Blue Book but using discretion to cover expense and fun. Most MSA classes are covered with classes for two stroke direct drive but we will find a place for any kart. Gearbox karts are now starting to prove popular and are accommodated with a long straight. Juniors specifically are encouraged covering Bambino, Comer, WTP, Honda, Rotax and TKM. We will find a place for any kart to race at Cults Kart Club! 2019 Season - A massive congratulations to all 2018 Club Champions. 2019 looks to be a fantastic season for all competitors. The club are looking to improve the facilities at the circuit for the benefit of all members. Please check out our facebook page for latest information. See you all on the 27th January 2019!